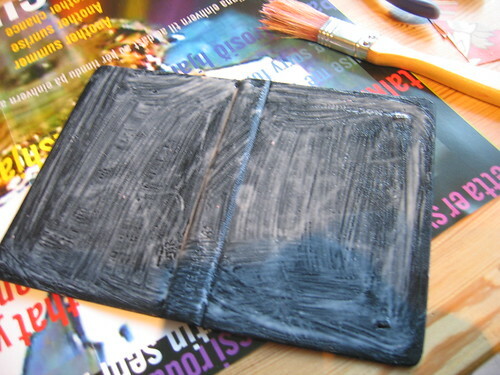 City Moleskine makeover – the tutorial! 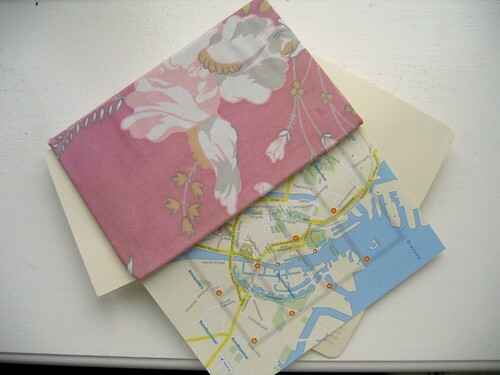 Silke gave me the Moleskine City Notebook of Copenhagen for my birthday. Yey! This weekend I covered it with some nice pink-lilac fabric cut out from a child shirt we found in storeskrald. You can see the result above. Then it’s time to cut your fabric the right measure. There’s different ways to do it, but to be sure the result will please you, try different ways and see how it will fit on your hardcover. 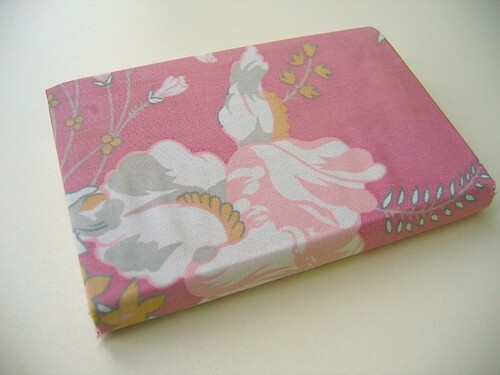 Place the hardcover on the fabric and cut it around it leaving a couple centimeters, be sure that you’ll have enough fabric to cover the corners! 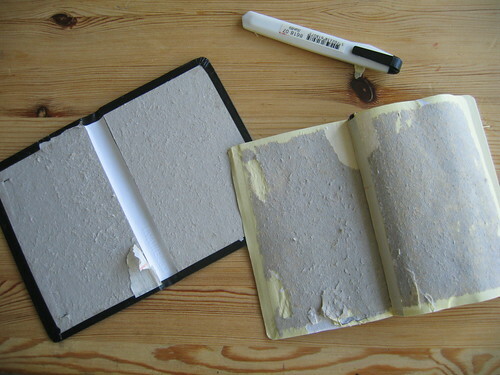 Now it’s time to glue your new fabric cover to the moleskine! 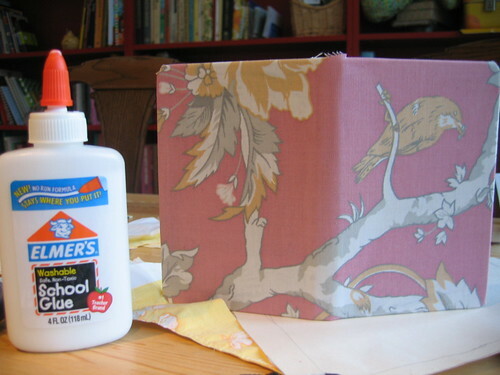 Glue the hardcover of your notebook (the good side) with Elmer’s glue, lots of it, and with the brush spread it very evenly all over the surface. This is very important for a good result. Now take your fabric and place it on the cover! 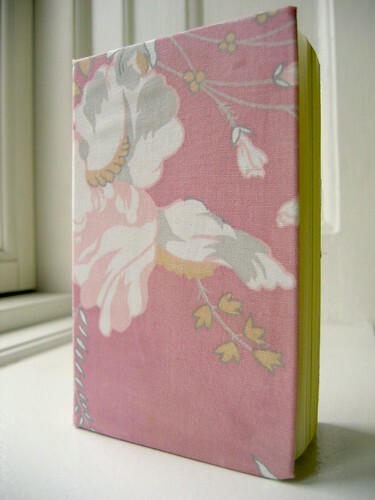 Press it down with your hands so the fabric will stick to the cover, and take care of the flaps that are glued in the inside of your hardcover. This picture above is the picture of a failure! hahaha. I realized that the fabric wasn’t cut right to fit fit the corners, as you can maybe see, so I had to unglue it (no big deal and very quick), cut new fabric and glue it back. But this is the only picture I got. Press it with your hand, and now you’re ready to put the moleskine under a LOT of pressure for the whole night (or if you do this in the morning, the whole day!). 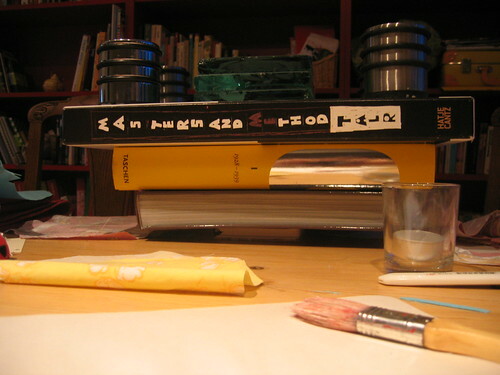 Use the biggest, heaviest books you can find and pile them on top of your closed moleskine. I put on some heavy door stops and big glasses from the frameshop too. UPDATE! 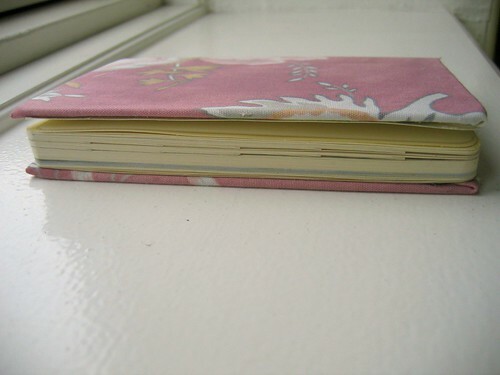 Here I posted a similar project on how to cover the big Moleskine notebook, with some instructions on how to fold the fabric on the corners. Music you should listen while making this: EUROPE! And the neighbours playing Ace of Base and Jackson 5 downstairs. This is something I want to do next. 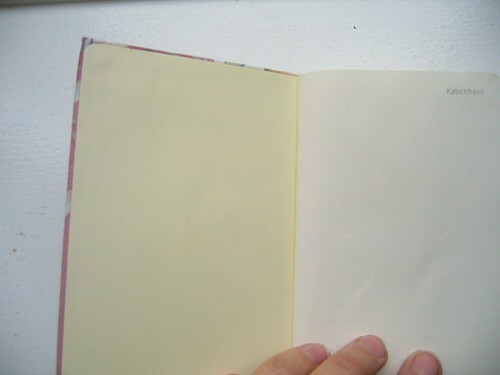 5 risposte a "City Moleskine makeover – the tutorial!" Sorry to hear the tooth extraction recovery took so long, and sorry I wasn’t at home to bring you cups of tea – I was visiting an island called Avernakø, I hope we can visit it together some time. I had a super time. Your book projects are WONDERFUL! Thanks for the link to the breastcancer site – you know you can include/ insert it somehow in your blog? 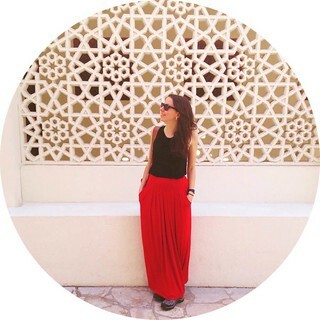 I have links to it on my website, except the picture has fallen off! !